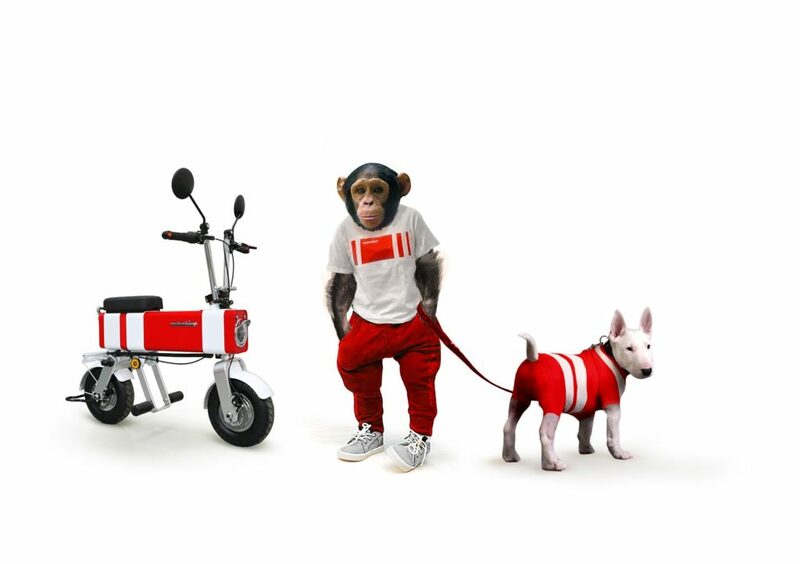 Singapore-based Go Go Machines has slotted itself into the cool-kids corner with its Motochimp electric pit bike. 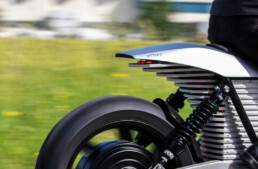 Who among us wouldn’t want a forward-looking pit bike to jet around El Mirage, Bonneville, Wheels & Waves, Circuit of the Americas or Laguna Seca? 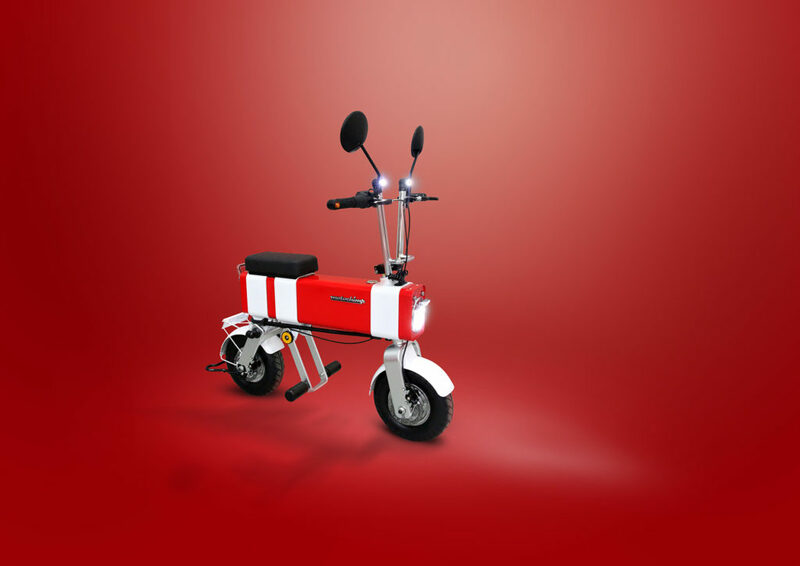 The Motochimp clearly plays on the ‘monkey bike’ theme, the pit bikes made by Honda in the 1960s, little bikes that fetch big money today, as well at the Motocompo folding bike built for the Honda City, that’s become an icon of 1980s design [see our article on top ’80s design here]. The Motochimp is made of stainless steel and aluminum alloy, and is compact like a proper pit bike needs to be: 43.4” (L) x 25.8” (W) x 45.4” (H), with a 29.6-inch wheelbase. 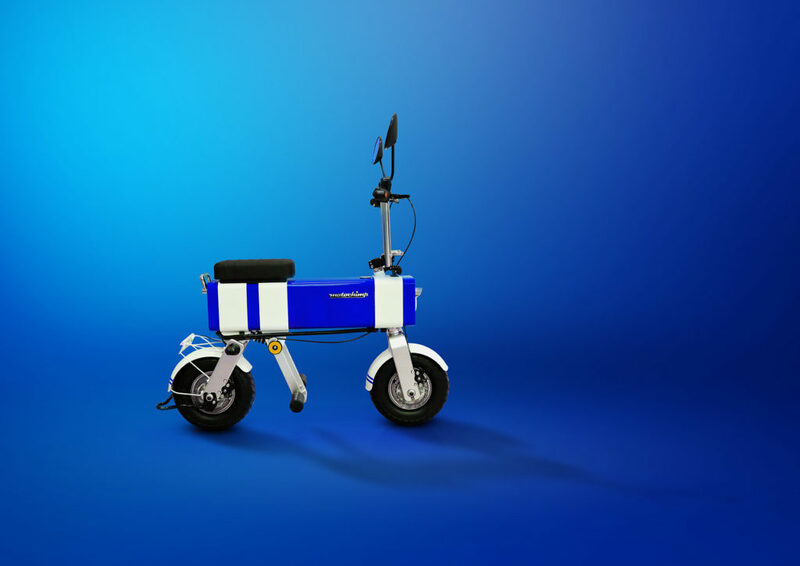 Powered by a gearless 48V 350W motor and a lithium-ion battery with a range of 37 miles, it charges in one hour with a standard three-pin plug, with a socket located under the seat. Parent company Vanda Electrics also builds an electric light commercial vehicle called the Ant Truck and the Dendrobium D-1 concept electric concept supercar. $3,000 smackers. Not sure it’s for slackers.